When there is a question of outdoor motion sensing light you have a variety of options and brands, you also know which ones would suit right for your needs. Some offer higher degree motion, stronger lighting, or the power of two-headed bulbs. But same is not the case with indoor sensing lights, choosing and getting the right one which offers enough brightness and flexibility is hard to find. Whenever you enter a dark room you have to struggle to find the switch to light up the room. Most of the times you stumble upon something and falloff also get injured. This can result in a serious injury too. With the help of motion sensor light, you don’t have to worry about continually switching on and off the lights because the sensors will take care of it. The sensor lights are very good deterrents against the burglars as it becomes quite visible to be noticed in the house which I properly lit. So Led motion sensor lights are an effective way to increase your home security without spending a fortune on sophisticated alarms and lighting systems. These sensors are very reliable as they use body heat and wavelengths to calculate whether there is some movement or not. You can also adjust the sensitivity of the device otherwise it will detect even if a fly crosses or comes near it. It is unrealistic that the motion sensors will be activated even over a small movement. 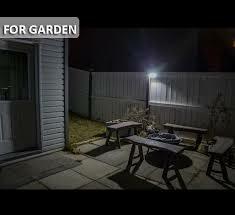 You can install the motion sensors almost anywhere like, the porch, garage, wardrobe, driveway etc. You don’t have to go on around the house to see if any switch or light are on. Thus motion sensors ease your life. 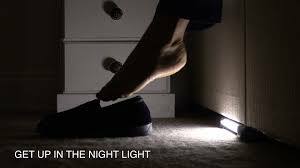 Electricity is saved efficiently as you don’t leave the lights on by mistake. 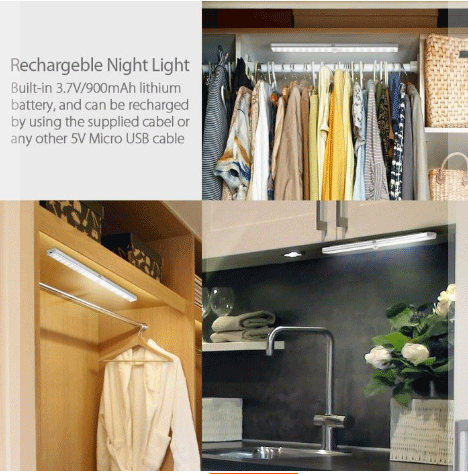 It guarantees usage of electricity in an efficient way. It is an environment-friendly solution and in the end,d you pay less in electricity bills because there is no redundancy of electricity. 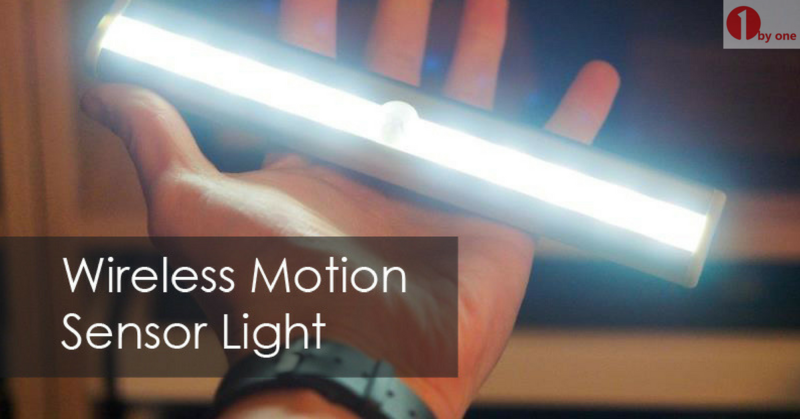 These benefits of Motion LED lights make them popular and give a higher demand. 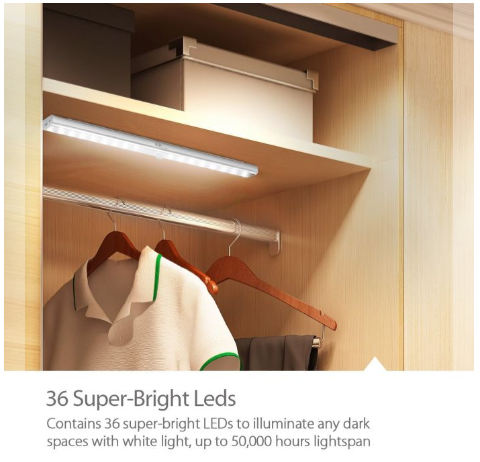 The wireless light is bright enough to light up the dark wardrobes, driveways or garages. It turns on immediately when is observed motion or movement within 3 meters and turns off if there is no response till 15 seconds. It does not switch on in auto mode when there is enough of light in the room. It can be charged via a USB charger and is powered by 3.7V/900mAh lithium battery. It has a total of 36 LED’s to gloom up the room. You can mount it using a magnetic 3M adhesive strip or the included screws.